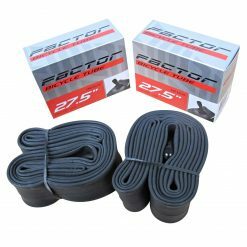 Factor 27.5″ Thorn Resistant Tubes is a Aussie-based brand which makes tyres designed for a range of uses and bikes. 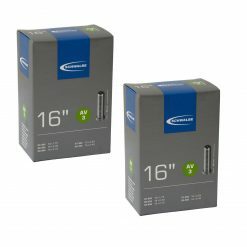 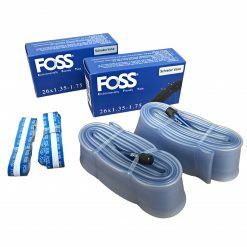 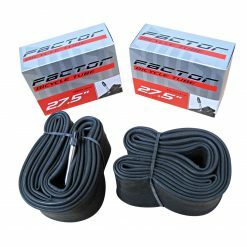 The tubes are made with durability, performance and puncture resistance in mind, whilst still coming in at an excellent price. 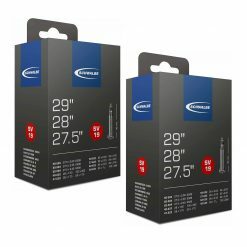 Heavy duty thorn resistant tubes are a great way of avoiding punctures and flats from thorns and thistles. This all new 27.5″ thorn resistant tube is ideal for a replacement or spare – you never know when you’re going to need one! 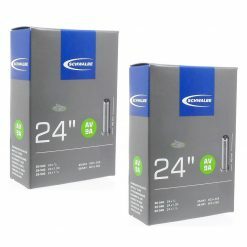 The tube size is 27.5 x 1.75-2.125 and has a standard schrader (car) valve. 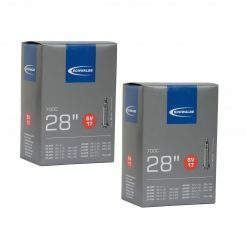 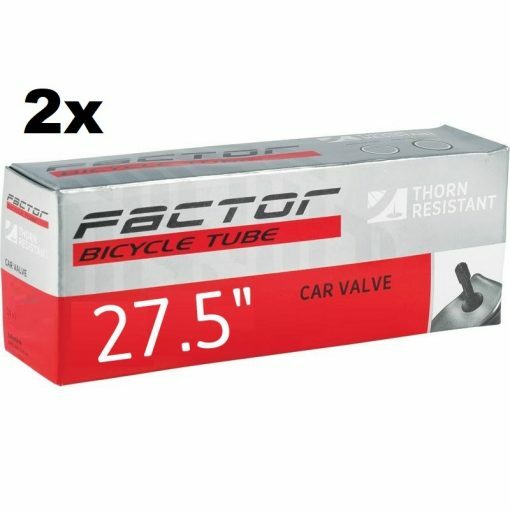 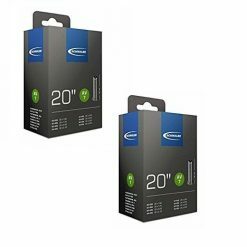 Buy Factor 27.5″ Thorn Resistant Tubes, Schrader Car Valve (2 Pack) now!